This weekend we went on a little two-night trip to the state fair with my family! We also got to bring the dogs, which made me happy. It was my parents, my sister and her boyfriend, and Derek and me, and three dogs. Quite a crew, but we had alot of fun! It was so exciting - I've never really been to any fair before, and this was the state fair! We camped Friday and Saturday night at an RV campground with my parent's camper, and we visited the state fair on Saturday. Then we came back and enjoyed a campfire and steak dinner - Sunday we visited my grandpa for awhile, because he lives near the fair, then we headed home. Here are some pictures! Derek rode a mechanical bull! He did great! We saw a lumberjack show. I like watching them on TV, so it was fun to watch one in person too. In front of the piglets. Miniature golf later at the campground - I came in dead last, for those of you who want to know. A campfire and steak dinner! We had a really great time! Hope I didn't bore you to death with pictures. By the way, in case any of you missed the last post, I have a painting blog, and there is something new posted on it! Check it out here: Dalla Prima Pennellata: From The First Brushstroke. I just wanted to let you all know that I got my painting blog up and running. I just posted a picture of my first time playing with the paints, so check it out - it's at least good for a chuckle. Stay tuned, because I just did my first real painting exercise, and a post with a picture will be coming within the next few days! I'm thinking the painting blog will give me a little bit of motivation and accountability to keep painting and not just stop after a couple of months. So if I don't post anything on it for a while, leave me a comment telling me to shape up! I give you all permission. I'm determined to give this a good effort, and I could use some reminders that I am determined! 'Kay? 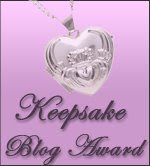 I got a blog award from Amy over at I Then Shall Live. My first one ever! Thanks Amy - this is going straight to the sidebar for all to see! In blogging tradition, I'm going to pass this one on to Amber - she was my first follower and has become a dear friend of mine as well. I love reading her blog - she has a great perspective on politics, life, and our walk with the Lord, and I've learned so much from her! Check out her blog here: www.amberhansen.wordpress.com. Yes, she crossed over to Wordpress and left all of us Blogspot bloggers - her one and only blogging mistake. (I'm just teasing you Amber - Wordpress has some great features, so I totally understand crossing over! Love Ya!). I'm headed off to my last day of work this week, but I thought I'd do a quick post before I go. This week has been so busy, because I've been working more than normal this week. I'm looking for a lovely day of being lazy and sleeping in tomorrow. However I won't be able to be lazy the entire day, because Derek and I are going on a short trip with my family this weekend! We're going camping (in an RV - maybe it's not real camping, but it's the kind of camping I like), and we're going to the state fair! I'm so excited because I've never been to a fair before - not even really a county fair, and now I get to go to the State Fair! I can't wait to see what it's like - and I will be taking more pictures! You'll just be sick and tired of all my picture posts by the end of next week, between my vacation last week and the trip this week . . . So I have a ton of things to gather before we head out tomorrow night - I have to get some food together, sleeping bags, overnight bags, dog kennels (yes, the babies are coming with us), dog food, dog leashes and chains, etc. I also have to work on the Bible study Derek and I are doing together tomorrow, and I have a couple e-mails to write and a couple people to call - maybe I won't be able to relax as much as I thought! One random thing before I go - you know how one of the things on my "100 Things To Do Before I Die" list is to read all of C.S. Lewis's books? I've looked into buying all his non-fiction books in a boxed set, but they're usually around fifty dollars or more, and we just haven't been able to afford that yet. Well, I no longer have to worry about the money - when we were visiting Derek's brother and sister-in-law, Derek's sister-in-law's sister gave me all of C.S. Lewis's non-fiction books! She and her family were done with them, so she wanted to get rid of them, and she just gave them to me! So now I can work on that goal, whereas before the finances were preventing me from doing so. Isn't it great how the Lord provides? There must be something in one of those books that the Lord wants me to learn. By the way, I've been working on painting - I'll post my attempts soon so you all can have a good chuckle. That's it for now, I'll try to do a "real" post soon! I'm pretty sure I have the sweetest husband in the world. When I told him I decided I wanted to try painting again he took me to town and we bought some paints, a palette, canvas paper, and turpentine for me! It's so exciting to have all my new equipment! Plus I have some old paints from when I used to paint in elementary school that are still good. So that's Reason Number One why he's so great. He painted this corner of our basement and set up all my painting stuff, and put up that shelf with my stuffed animals on it (yes, I still have stuffed animals - and what's wrong with that, I ask you?). He also got our stereo system all set up so I can listen to music or talk radio when I work (I'm a big talk radio fan). He wanted me to have a nice place to paint - he thought if I had to go down there with everything a mess I wouldn't paint as much, so he set this up so that I would want to paint down there! He's so great - I'm so blessed to have such a supportive husband! Just thought I'd brag on him a bit . . . and those are only two of the many things he does for me! Thanks Babe, you're the best! And by the way, I think I might just do a blog on my painting escapades - I'll let you all know when I get it up and running! I was quite pleased - even though it's rated PG-13, which can be iffy, it was pretty clean - a little bit of language, but overall pretty good. In case you don't know, the story is about a thirty year old woman who is feeling left behind, like she needs to have a direction. So she gets the idea to cook her way through Julia Child's cookbook and write a blog about it. The movie is about her experience cooking and blogging, and also includes flashbacks to Julia Child's life. The comparisons were obvious - they both needed a direction, something to do that seemed worthwhile, and their experiences with learning to cook both eventually make them famous. I loved how they portrayed Julia Child - Meryl Streep played Julia, and she did a good job! Julia was portrayed as a cheerful woman who you couldn't help but like, and it made me almost wish I had known her. At one point she gets together with her sister after a long time apart, and their reunion cracked me up! You have to see the movie. I also related to Julie Powell, the woman who decided to go through the cookbook and write a blog about it. The way they portrayed the journey of blogging was especially amusing, and only those of us who blog can fully understand some of it. Like the excitement of your first comment! Remember that? Or, on a more serious note, the way that blogging can sometimes lead to a narcissistic attitude, because let's face it, we're writing about ourselves. Your blog is all you, all the time; your thoughts, your experiences, your life out there for others to read about. Anyone else struggle with this? I know I do - I have to remind myself that everything is not about me, and guard myself against the selfishness that sometimes comes with blogging. At one point in the movie Julie and her husband get in a fight about how since she started blogging everything is all about her and her readers - and it shouldn't be that way. It's a delicate balance, and I'm warning you right now, if this blog ever threatens my relationship with my husband or family, I'll be gone. Or at least taking an extended break to get my priorities straight. Finally, one of the biggest ways this movie affected me was that it made me think about my own life. I feel a little direction-less myself right now, like I'm stuck between life goals. I've finished school and am working as a dental hygienist - life goal number one accomplished. 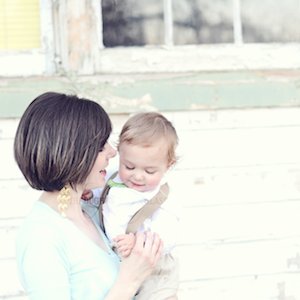 The next life goal is to have kids and raise a family, but we aren't quite ready to start that phase yet. So I'm stuck here in the in-between, where I no longer have education as a goal (I wouldn't mind going back to school, because I love academia, but money is the problem with that right now - it may be a future goal), and I'm not ready to start on the next life goal (kiddos) yet. When I was in school it gave me something to do, a purpose and goal, and I know when I have kids that will give me a great purpose. And I want to be a mom with all my heart - I think that's one of the greatest goals I can have in life, but I can't start that one yet. What about in the in-between? Do I have to wait until I have kids to fill up my spare time? We aren't planning on having kids for another year or two, and I realized that there is absolutely no reason for me not to do some of those things on my "One Hundred Things To Do Before I Die" list. In fact, this is probably a better time for me to do some of those things, to develop some skill or get a hobby. The movie made me realize that I would like to have a hobby, something I can enjoy doing and that will help me prevent the internet and TV from "stealing my time" as my mom says (I don't know about you, but the internet or TV is where I go when I'm bored - it would be good to have some other activity to do that will give me something to show for it in the end). The movie has inspired me to get involved with something that will give me something to work toward until the next big phase of my life - something that will help me develop a skill, something I enjoy that can fill my spare time. Like Julia Child, I'll probably have to go through a few tries before I find just the right thing. But I'm starting today. I always tell myself that maybe someday when I'm retired and have alot of spare time I'll pick up painting again. In fact it's on my "Hundred Things" list - "Do another painting". I bet you didn't know I could paint, did you? I took lessons in elementary school, and I have a few paintings that I did at that time, but then I stopped (this is a picture of one of the paintings I did at that time, with the help of my art teacher). But with this barrage of talk about hobbies, I wonder if the Lord is trying to tell me that I can do some of those retirement activities now? Why not? Why wait until I think I'll have more time or money when now isn't a bad time to start? If I wait until the perfect time to do some of these things, the perfect time will probably never come. So here I go on my search for my skill - whatever it will finally be when I find it. I'm going to start out with trying painting again (just don't expect anything as good as this painting at first - it's been a long time, and I was taking lessons then - I have to start from scratch now). In fact, I rented a few "How To" books on oil painting from the library already. Maybe I'll write a blog about it. We only went to a couple of the many museums that make up the Smithsonian, but we saw alot in those couple that we went to. Here are some of the highlights of the National American History Museum and the National Air and Space Museum. Derek and me in front of a cool-looking sculpture outside the Air and Space Museum. One of the moon capsules. Not the actual one that went to the moon, but exactly like it. The Hubble space telescope. Not the actual Hubble telescope, but a very similar one that never went into space. A cool metal American flag art thing. This was outside the Star Spangled Banner display, where they have the actual flag that inspired the National Anthem. I couldn't take a picture of the flag, because they didn't allow photography in there, but it was definitely one of those patriotic shivers moments. Derek in front of Abraham Lincoln's top hat. Me in front of Dorothy's ruby slippers. Derek with Oscar the Grouch. Me in front of Laura Bush's inaugural ball gown in the First Ladies Gowns display. I thought Laura Bush's gown was so pretty. Me in front of one of the carts for the Dumbo Ride at Disney World. Not exactly the coolest thing in the museum, but I wanted a picture with it. An actual robotic car. They had a robotic race, where people had to build robotic cars. Not remote control cars, robotic cars, where the car makes all the decisions. Creepy, huh? But cool too. This is the winning specimen. Old style gum! Yes, the gum was a highlight of the museum for me. Pathetic, I know, but it's just the dental hygienist jumping out of me. Derek in front of an old lawnmower. I told him when he gets frustrated with our lawnmower he has to look at this picture and count his blessings! The thing was huge. Me in front of a train! It was just cool. The actual nugget that started the California Gold Rush. I think the indentations are where the guy bit it to see if it was real gold. I don't know how they get this stuff, but that is the nugget that started the westward expansion and habitation of our nation. Pretty amazing, huh? One last picture in front of the Monument! We're sad because we're leaving DC. A Dairy Queen on the way back! Derek and I are Blizzard fans. We're going to get on in every state we visit from now on, if at all possible. This one covers Virginia. Finally on the plane back home. It was a bittersweet moment. We had an amazing vacation in North Carolina and Washington DC! We got to see everything on my list for this visit, but there was so much more in DC that we didn't get to see! I guess that just means we'll have to go visit Derek's brother and sister-in-law again in the future, and take another side trip up to DC to do the stuff that we didn't get to this trip. We are back home! Our vacation was just lovely - I'm one of those people who like active vacations, with stuff to see and things to do. And there were no end to things to do this vacation! Derek and I arrived at Derek's brother and sister-in-law's house in North Carolina and spent a couple nights there. They are amazing hosts - they actually had a gift waiting there for us. I was rather shocked - I had brought them a gift, because we are the ones who were imposing on them, not the other way around! They allowed us to eat their food, sleep in their spare room, use their internet, plus they wouldn't let us pay for anything (we tried - I'm always at a loss of what else to do when I can't get them to reach out and take the money). We also got to see an old fort out there by the beach too. It was really cool - you wouldn't even know it was there if you weren't looking for it. We also spent some time walking around the town of Beaufort. I bought some yummy salt water taffy while we were there. I tend to associate salt water taffy with vacation, because I remember a few childhood trips when my mom would buy some in a gift shop and we would snack on it in the truck. So I was pretty happy to get some real salt water taffy by the seashore! On Sunday we took a road trip up to Washington DC. Actually it was technically Springfield, since that was where our hotel was. After we arrived (around 1:00 PM) we took off for the Metro tram and then downtown to visit the Air and Space Museum. After the museum we took a walk to see all the Washington Monument and the memorials near it. You can read about that and see pictures if you read my post "Surreal, Inspiring, And A Killer For Your Feet: My Description of Washington DC". On Monday we hit all the nationally significant displays. First we went to National Archives and saw the Declaration of Independence, the Constitution, and the Bill of Rights. It was very awe-inspiring to think about how our Founding Fathers actually touched those documents, taking care to write them out and sign them. And then to look up at the high domed ceiling and the murals on the walls, and think about what their declaration led to - one of the greatest countries in the world, where it's citizens are free. Did they ever think about what the country would become? Did they imagine it would be as great as it is? The thought sent shivers down my arms. The experience wasn't only inspiring, it was also rather sobering. What would our Founding Fathers say about some of the things that are going on today? Would they be saddened by the direction our country could be taking? The entire experience of seeing those documents that are at the core of everything we hold dear in this country and thinking of what our Founding Fathers had envisioned when they signed them has made me even more determined to not sit by and let our basic rights and freedoms by undermined. Rights and freedoms that our Founding Fathers and countless men from subsequent generations of Americans have fought and died to defend. If they gave so much, even their lives, to give us these freedoms, the least I can do is work my hardest to preserve them. Here are some pictures of those revolutionary documents. The Declaration was so faded you couldn't even read it, but you could see a very faint outline of John Hancock's signature. He had quite a John Hancock (Ha! I know, corny, but I crack myself up!). It was kind of sad to see it so faded though. Doesn't that "We the People" line give you the shivers (in a good way)? I'm so glad they wrote this document, because it spells out our rights to free speech, freedom of religion, right to bear arms, etc. If they didn't spell them out back then, we most certainly wouldn't have preserved these rights so that we can enjoy them today. After that we took a walk up to the Library of Congress. Maybe a more accurate word would be trek. We probably walked a good mile or two up there and a good mile or two back. I ate more than I've eaten in months on this vacation, because we were just on our feet so much! Here are some pictures in front of the Capitol building (that's right, the Headquarters) and of the Library of Congress (we were in the Jefferson building and got to look down into the actual library - the Jefferson Building was very elaborate). After the extremely long walk back to the area where our Metro stop was, we decided to save the American History museum until the next day and go to an early dinner back near our hotel. We did take a quick jaunt into the Natural History Museum though, because I really wanted to see the Hope Diamond! It was huge, but somehow I thought it would be bigger - and I thought it would be non-colored and a princess cut. The actual diamond didn't fit my vision at all, but it was still fun to see. It was bigger than a quarter, with little diamonds all around it and making up the chain. I stood in front of it for one picture, though you can't see it very well. Can you imagine wearing that? And finally out to dinner. We were going to try to find a Dairy Queen, but after a wrong GPS, turning around five times, and searching for an hour we finally gave up and bought some cake from a little bakery. Dinner made up for it though, because it was a steak dinner at the Outback. Yum! I think I'll have to save the American History Museum for another post, because this one is already very long. And there was alot of good stuff in the American History museum, so expect another long post!